Well folks, I don’t know about you but I have had quite a year. This will probably be my last post of 2011, so I thought I would just share some photos I have taken this year. I am always taking photos everywhere I go, and here are some of my favourites. I had to return to the UK at the end of March for a knee operation, which unfortunately got delayed. 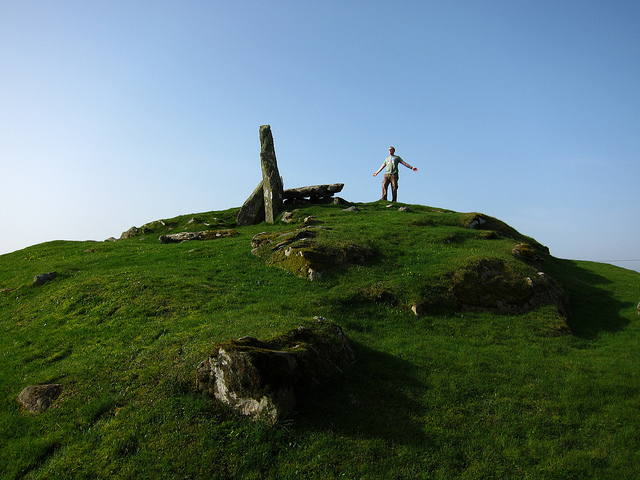 I tried to make the most of it and visited quite a few of the local megalithic sites in Dumfries and Galloway. This is one of the cairns (burial chambers) called Cairn Holy. A couple of weeks later I visited the Twelve Apostles stone circle, said to be the largest stone henge in Scotland. 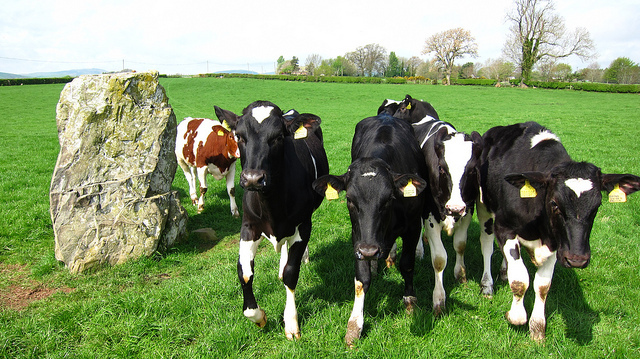 As I walked around the stones, I was joined by the cows, who followed me from stone to stone, and then as I stopped, they would stop too. Amazingly spiritual and thoughtful cows! On my return to São Paulo, Maria and I spent a weekend back in Belo Horizonte. 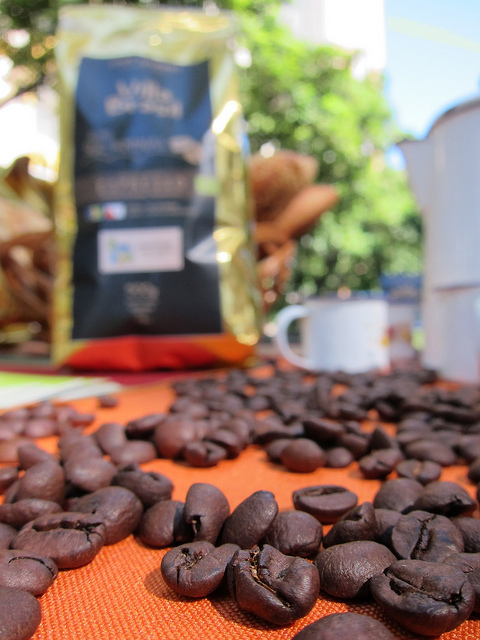 While there, I helped out at the Fair Trade breakfast hosted by SBrasil. I am very proud of this photo, especially as a copy of it appears in the November edition of Menu magazine, to illustrate an article about the launch of SBrasil’s Fair Brasil coffee. 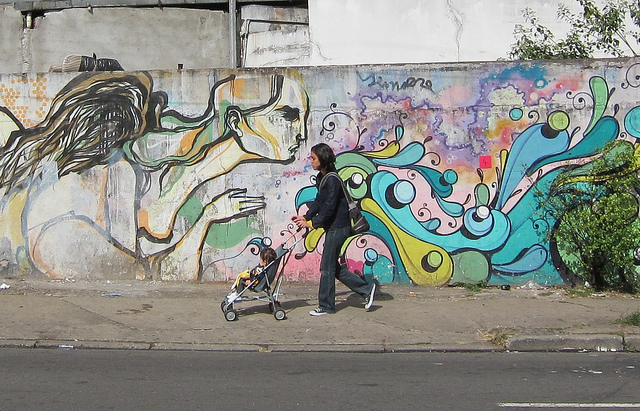 There is some amazingly organic street art in São Paulo. I decided to do a photographic project to capture the spirit of São Paulo in order to try and overcome the problems I was having dealing with the intense pollution, traffic and sprawl of this region. I like this photo as it looks the art is kissing the lady as she walks. 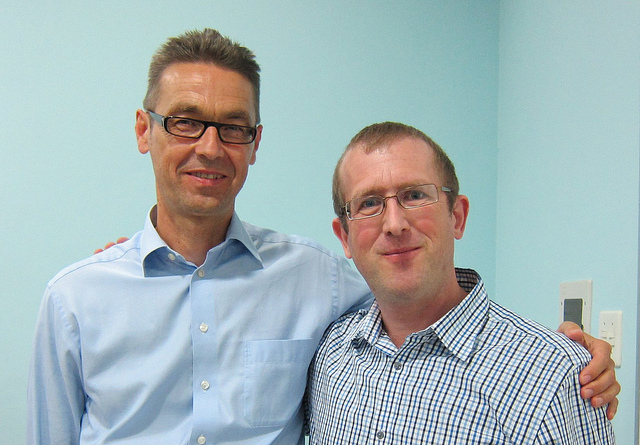 Otto Scharmer came to São Paulo as a guest of Natura, the natural cosmetics company. I am a huge fan of his work on Theory U, and he gave an amazing talk this evening. 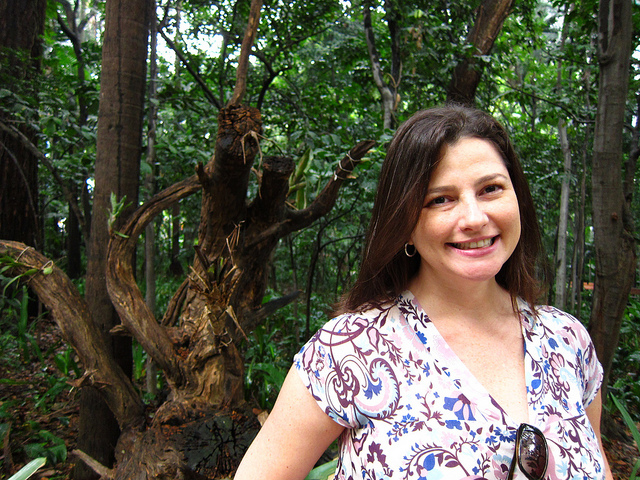 Maria was responsible for a hugely important summit in São Paulo, the Strategy and Execution Summit 2011. This is an annual summit hosted by Symnetics, and Maria created an extremely daring, powerful and visionary event, of which Satish Kumar was the keynote speaker. 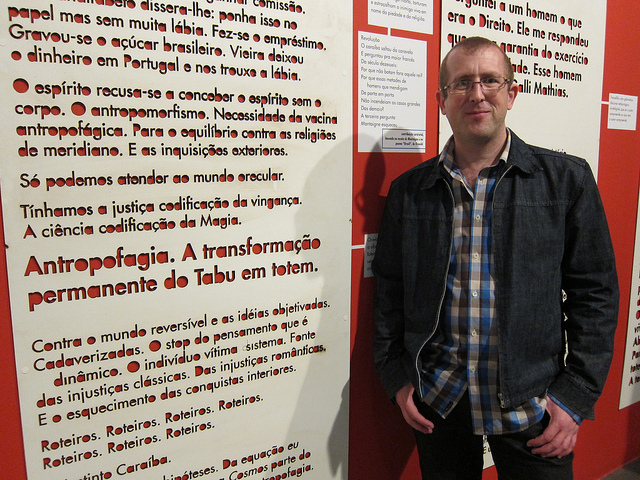 He did not have much free time, but before he flew out on the Saturday, we took him to the Museum of Portuguese Language (the only museum dedicated to a language), and an art gallery. I love this photo, for the composition. 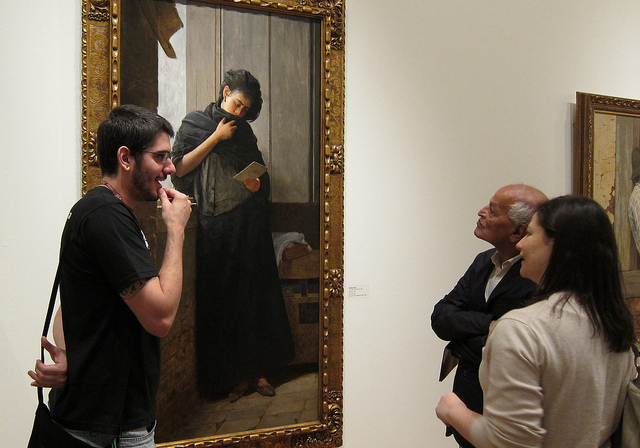 The painting is called “Saudades” which is an immensely emotional word, roughly translated as “missing” as in “I miss you” – but for Brazilians it is perhaps a unique word so full of mixed emotions. 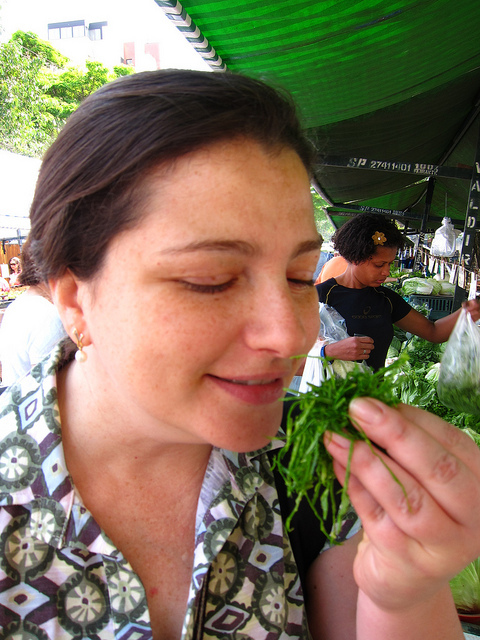 This is Maria smelling a vegetable called couve. It has huge leaves, which are chopped up. The smell is amazing, almost like a freshly mown lawn. We have a street market in our road every Wednesday where we buy fresh fruit and vegetables. The market has some great characters, and I want to make a video of the market some time, with all the sights and sounds of the vendors. When I buy my bananas, the stall holder normally gives me one extra free to eat there and then, and another chops up fresh pineapple which is just delicious. You have no guilt about air-miles of all these wonderful fruits! One of the great shames of my British education was learning absolutely nothing about Latin America. Nada. Zilch. Maria of course knows far more about British history and monarchs than I do, and is quite amazed at how little history I learned. I did do history for O Levels (and got an A), but it was 20th Century histoy covering Europe and North America, and was mainly the two world wars and a bit of Cuba and Vietnam from what I remember. I am though discovering just how rich and profound Brazilian literature and culture is, and have been trying to read about its history and poets. 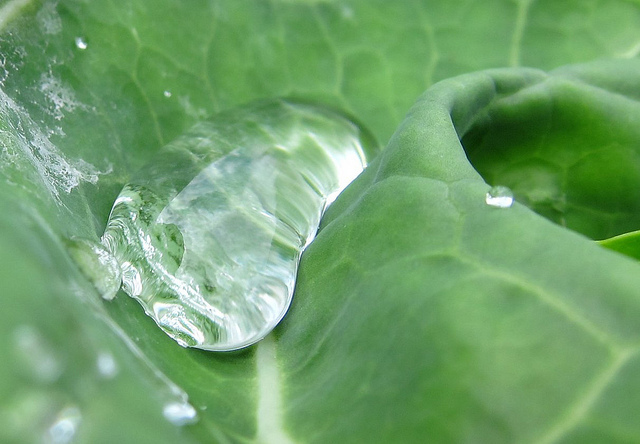 And here is a drop of rain water on a fresh couve leaf. Maria and I were in Joinville in the south of Brazil where I was giving a lecture at Sustentare business school. 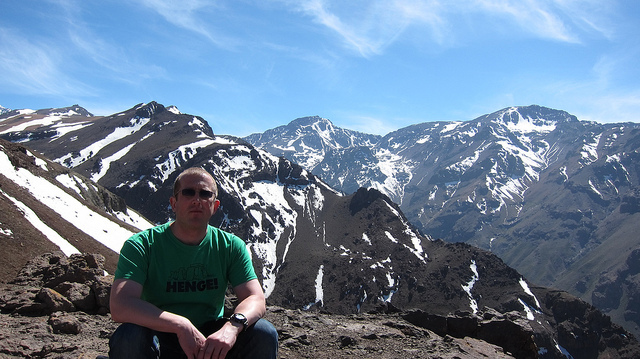 I went to Chile in early November to give a lecture on complexity at Symnetics, Chile. I took the opportunity to get up into the Andes on a day trip. I love mountains and this was amazing to be up at 3000 metres near one of the most spiritual peaks for the ancient Incas. I came back to Scotland in the middle of November as I had used up my visa allocation for the year. 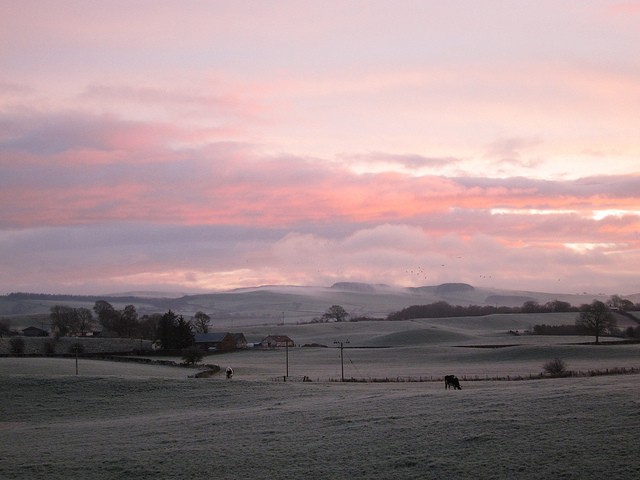 This is the view from my bedroom window, early one morning this December with a slight frost. It does not really get much different to São Paulo as I live in a tiny hamlet, not even a village. People often ask me to recommend books. 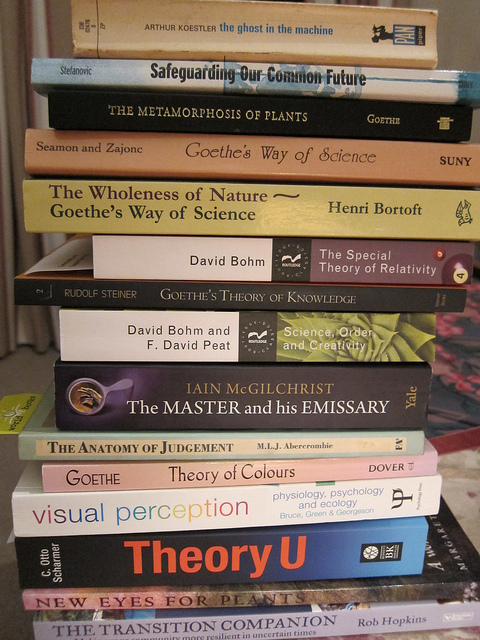 Right now I am working on developing some new workshops and lectures, and am going back to Goethe who I am now studying in much more detail. Just a bit of light reading here! We Brits always say there is no such thing as bad weather, just inappropriate clothing. When you move away from Blighty, some people really do miss having proper seasons. I love our seasons, and always feel you have to embrace the weather and the elements, although I have to say I just sweat profusely in Brazil in the heat and feel stifled at night in the summer. 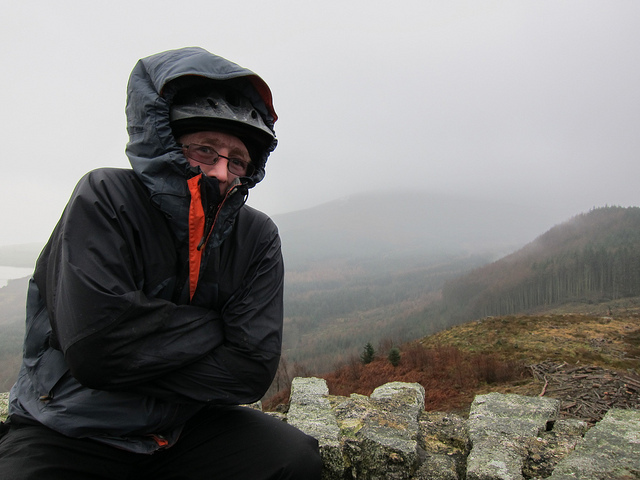 This is me at the top of a tower in the howling and icy winds. It makes me feel so alive! Well it is not quite the end of the year yet. As I speak, Maria is on her way from Heathrow to Edinburgh as we are spending Christmas in Scotland. If I can, I’ll try and post a final picture for the year! Happy Christmas to you all who have visited Transition Consciousness. I wish you all the very best in 2012. It will be a crazy year, many people will lose the plot, many others will be in fear, and many many more will be suffering. But we here, we can expand our consciousness, we can solve the world’s problems if we can collectively change our mindsets and consciousness, and I for one will continue to do all I can to help us make those steps in the right direction. All I ever do is try and do my best, and it has been quite an adventure with so many amazing people joining me on this path we tread. What a fascinating adventure. Generally. Would like to see more of your Brazilian hamlet. Didn’t know you and Maria lives here in Belo Horizonte last year! I wish I had known you both before the summit…. 🙂 A wonderful new year for you both. cheers..